American Express is known to hire work-at-home employees for both its financial and travel sectors. Find out more about how this company works with telecommuters and what you can expect from this position. American Express is a financial company well known throughout the world. It is not often that work-at-home jobs can be found through such a reputable business, where no research is needed to verify its legitimacy. Those with a background in customer service looking for a telecommuting position may find that this is a great opportunity. The company hires work at home agents for both its credit card and travel division. Customer care agents working for the credit card division answer phone calls from customers calling with questions regarding their account. This position does not require a college education but applicants do need to have at least four years of customer service experience. A dedicated home phone line is required, as well as high speed internet. This full-time position starts around $16 an hour. Calls are routed to your home phone and can range from taking payments to handling customer inquiries. The travel division hires work from home travel counselors across the United States in specific cities to sell travel services to customers. Three years of travel sales experience is required for all applicants, with experience using the travel software Saber a plus. Agents are responsible for booking air, hotel, and car reservations for clients. The company also hires work-at-home agents for corporate travel counselor positions responsible for booking travel on the corporate level. Work-from-home jobs with American Express can be found through the career site. Read through the specifics of each telecommuting position carefully to see if you are a good match for the qualifications and can commit to the necessary hours. (One benefit to working from home with American Express is the company hires telecommuters as employees instead of independent contractors. This means telecommuters are eligible for benefits.) Once hired, training lasts six weeks and applicants must be able to attend all days of training. Schedules are fixed and do not allow for flexibility for those who need it working from home. 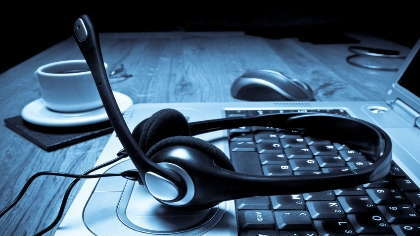 As with most virtual call center positions, a quiet background is required, making this a better match for parents with older children or those who wish to work night shifts while the kids are sleeping. Past applicants also say that the expectations for meeting the call taking matrix must be met by week twelve or you may be let go. As with all work-at-home jobs, consider what type of position would be a good fit for you and your specific circumstances. Full-time, work-at-home jobs may not be a good match for everyone but if that is what fits your lifestyle then American Express is a highly respected company to consider working with.